Lewis Hamilton was forced to wait for a fifth world title when he finished third in the US Grand Prix on Sunday as Ferrari’s Kimi Raikkonen took a first victory in more than five years. Kimi Raikkonen of Ferrari won the race while Max Verstappen of Red Bull Racing finished second. Ferrari’s Sebastian Vettel came in fourth. Hamilton leads Vettel by 70 points and can win his fifth championship on finishing seventh position in Mexico if he wins. 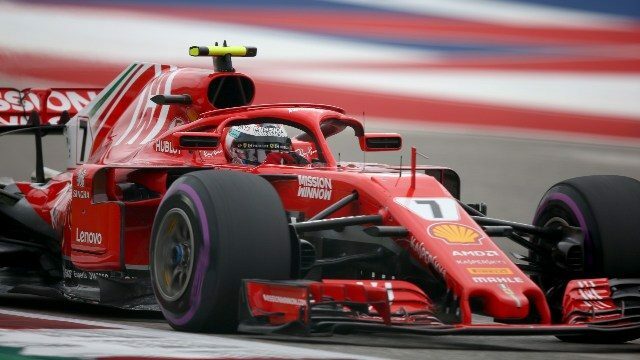 Raikkonen, who will leave Ferrari for Sauber at the end of the season, took the lead on the opening lap and claimed the 21st victory of his career in a strategic race. Hamilton’s Mercedes teammate Valtteri Bottas finished at fifth position.